2010 might well go down in history as the year the world discovered exactly how large a shadow the Appalachian Mountains casts over the state of Massachusetts. Who knew that the tribalism, mores and isolated clan culture of certain parts of New England so resembled that of the billies of the hills? 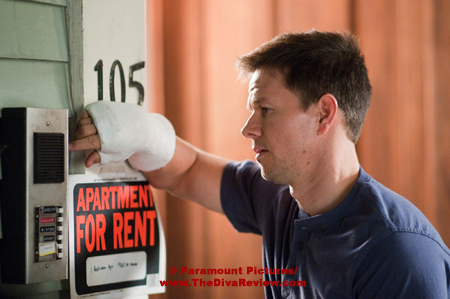 After this summer’s ode to the bank robbers and other criminals of the Charlestown section in Ben Affleck’s The Town, with The Fighter, director David O. Russell treads similar ground this time in Lowell, where he shows us a land of crackheads, babydaddies and wasted dreamers. The gangly fella leading the camera around, introducing us to everyone within filming range was once a contender. As we’ll hear him say repeatedly, he even got so far as to deliver Sugar Ray Leonard his first knockdown. Looking at this guy’s bone-thinness and wasted expression, one doesn’t have to be Miss Marple to figure out what’s become of this promising pugilist, but more on that later. 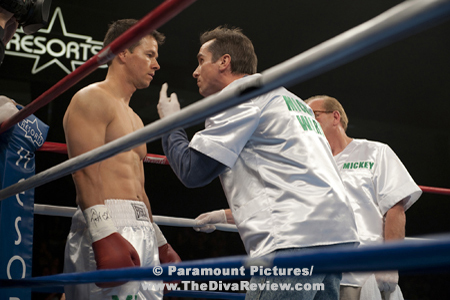 A lot of the film crew’s focus is not only on Dicky Eklund, but his younger half-brother, Micky Ward, who followed in his sibling’s footsteps to become a rising star in the ring himself. The two brothers train together as often as Dicky’s drug habit allows, unfortunately the jones always seems to take center stage right before important events in Micky’s career. The third in the family troika is the boys’ tough-as-nails mother, Alice, who can’t understand the damage Dicky’s absences and her own poor management are doing to her younger son’s prospects. It’s only when Alice sniffs interference from anyone -- up to and including the boys’ (step)father -- that she goes into momma bear mode; tearing the hide off anyone who threatens any sway over her baby boy while pinioning him to her side with a stunning array of guilt trips. She’s raised an entire troop of similarly possessive young “ladies” who are not above flat-out storytelling and some bareknuckle action of their own to keep their little brother out of the arms of a calculating dame, which as far as they’re concerned is any female in the vicinity. This makes life difficult for Micky‘s new love, Charlene, a feisty barmaid who can kick, scratch and cuss with the most elegant ladies. Charlene sees the burden that Micky’s family is weighing on him and its danger to his career and has no problem doing battle with his whole family (- who continually accuse her of being an “MTV girl”) to keep him on the right track. While Micky tries his hardest to make something positive happen, big brother Dicky can’t shake the disease. He might have been a great fighter in his day, but as a stoner, not so swift, so back into the clink he goes in time to celebrate his big documentary debut which is less about his boxing and more about his downfall and addiction. Micky’s career won’t wait for Dicky’s incarceration and with the promise of bigger fights comes Micky’s realisation that an entire team of pros can’t give him the confidence and advice that a few words from Dicky can. The question is whether Dicky can pull it together and go from smoking rock to being one for his kid bro? Good, authentic stuff this. Director Russell’s focus on family drama over pugilistic pyrotechnics gets some of the best performances of the year out of his excellent cast. 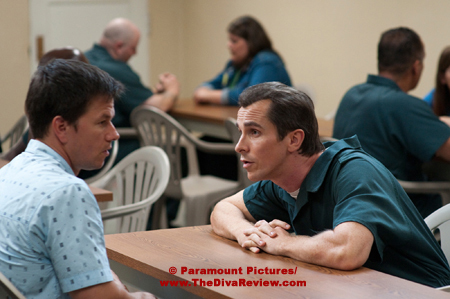 Christian Bale as the grandiose, delusional junkie is tweaked-out perfection; Machinist-gaunt and hair shaved to reflect the real Eklund’s thinning pate. Like every junkie, he can quit at any time, he just doesn’t want to, even if it means skipping out on training sessions or nearly missing a flight to one of Micky’s bouts. Dicky is a likeable guy; still a local hero despite his affliction and faded glory, and even upon his return to the pen he’s hailed like a returning king. Micky’s adoration for his brother knows no bounds and being shy of Dicky’s gift of gab, sits happily in Dicky’s shadow always being the afterthought, even by their mother. Alice’s blindness to her eldest son’s addiction is willful and stubborn; she won’t hear a bad thing about any of her children, even if the flaws of one damage the others. Everything stops for Dicky, including Micky’s life and the very idea that he should actually want to advance without the lodestone of his brother’s problems around his neck is complete treachery. Melissa Leo in platinum helmet hair and omnipresent cigarette between perfectly lacquered talons is spectacular as the fearsome, proud parent of a brood that’s like a tribal nation all to themselves. Leo’s brash Alice is the lioness protecting her cubs from everyone but themselves and training her daughters to be as pugnacious as she is. Alice is a force of nature that no man, not even the men in her life, sons or lovers, can contain; yet Leo makes her sympathetic, not merely a hard-berled gorgon. Alice loves her kids -- all nine of them -- but like any parent there is always the favourite and that would be the neediest one, Dicky. She not only enables him in her purposeful ignorance, she’s his biggest cheerleader, encouraging his lengthy slumber on his long-wilted laurels and a part of her clearly enjoys the reflected glory and attention her boys get. Amy Adams’ Charlene is no lilting violet either; she’s unshakable in her belief of Micky’s potential and it’s absolutely electric to see the barmaid and the mama go head-to-head for the rights over the man they both love. All three of these performances are unforgettable and Oscar-worthy. The similarities to 1976’s Rocky are unavoidable; the tale of an underdog from a working class town using his fists to make his way in the world. 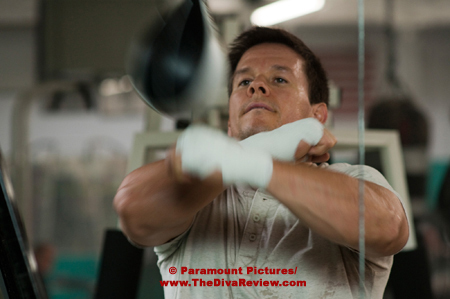 One difference is that the story behind The Fighter is a true one, hence upping the stakes of the lives onscreen. 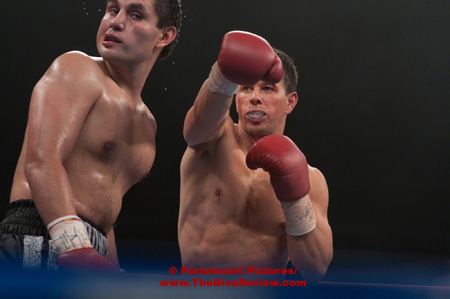 The sharp script focusing more the lives of the two brothers out of the ring than in it adds real depth and heart in a different way, setting The Fighter apart from most boxing movies. 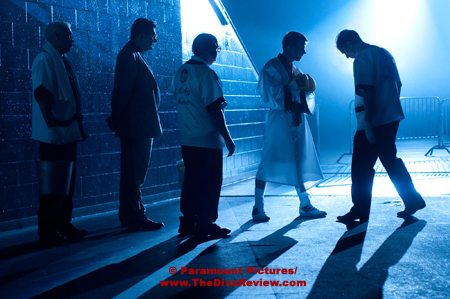 Outstanding performances by the entire cast make The Fighter a true knockout and a real Oscar contender. 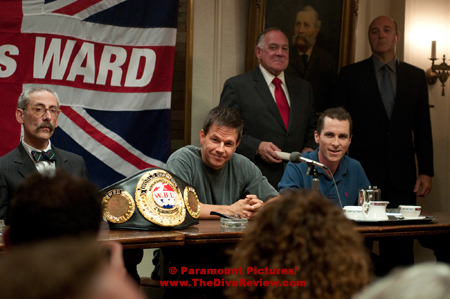 Perhaps after next February, The Fighter will have another thing in common with Rocky, after all.